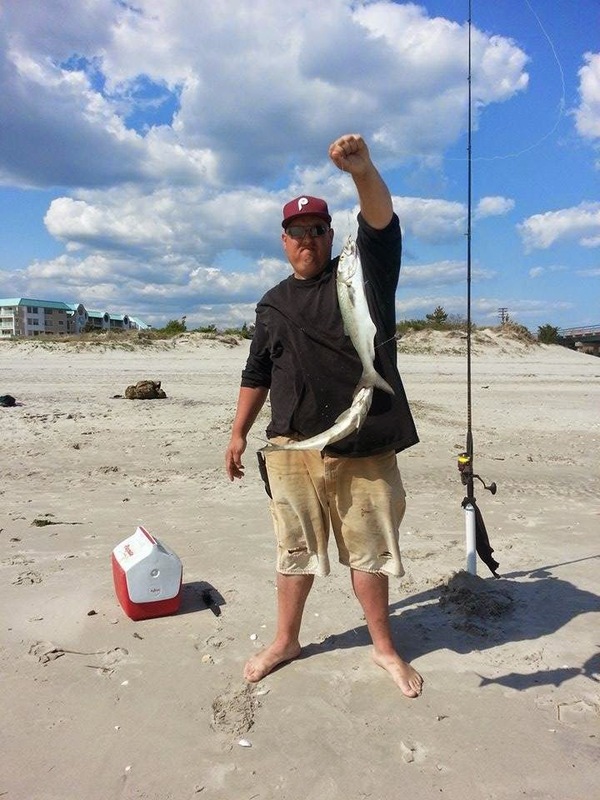 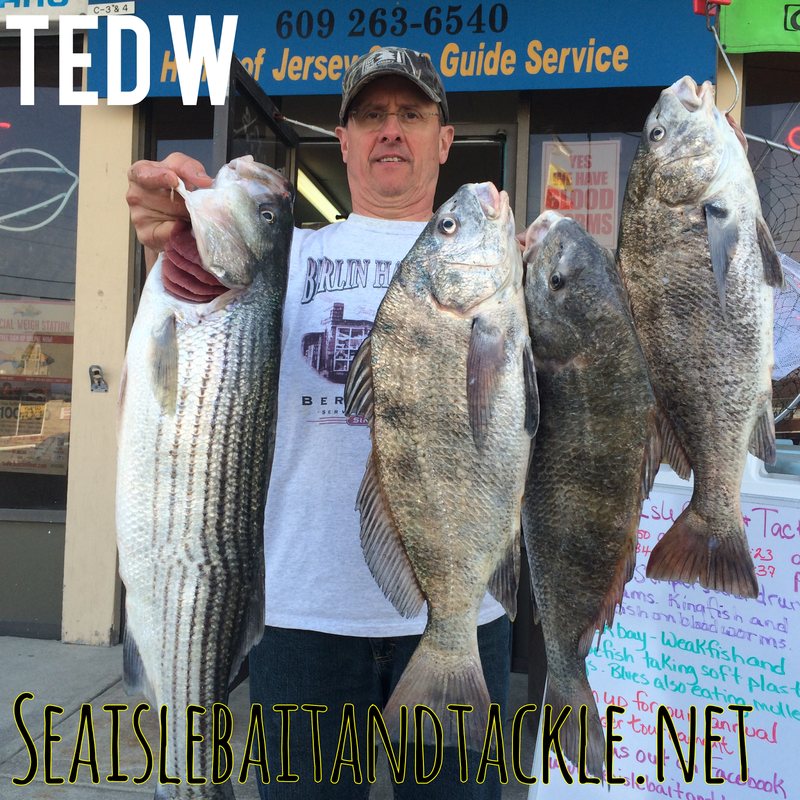 More stripers from the surf in Sea Isle! 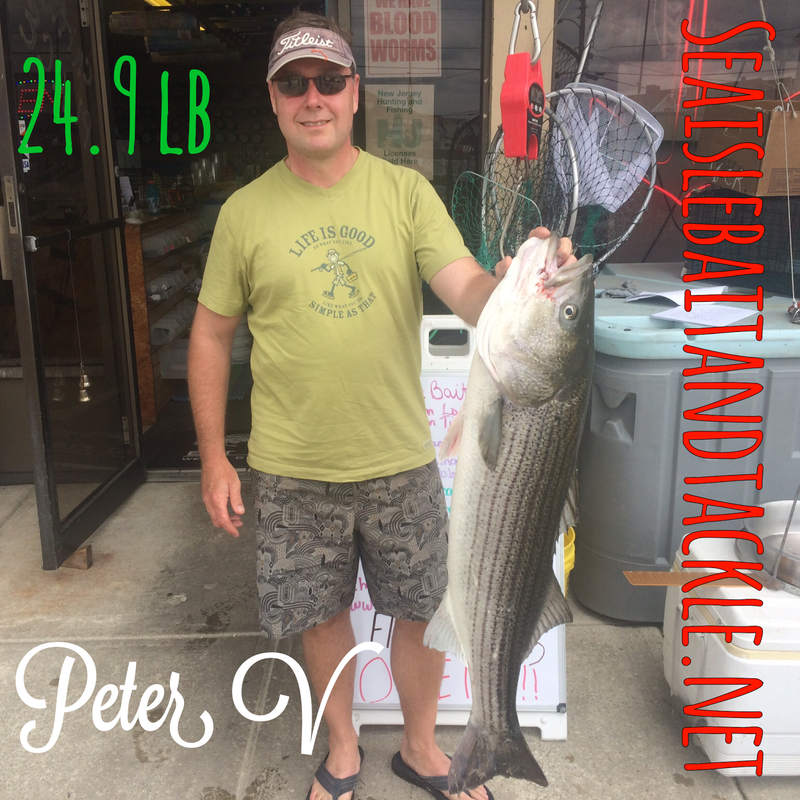 Peter V from Langhorne Pa just stopped in with a very nice 24.9lb 401/2in striper he landed in the surf at the south end of the island on clam. 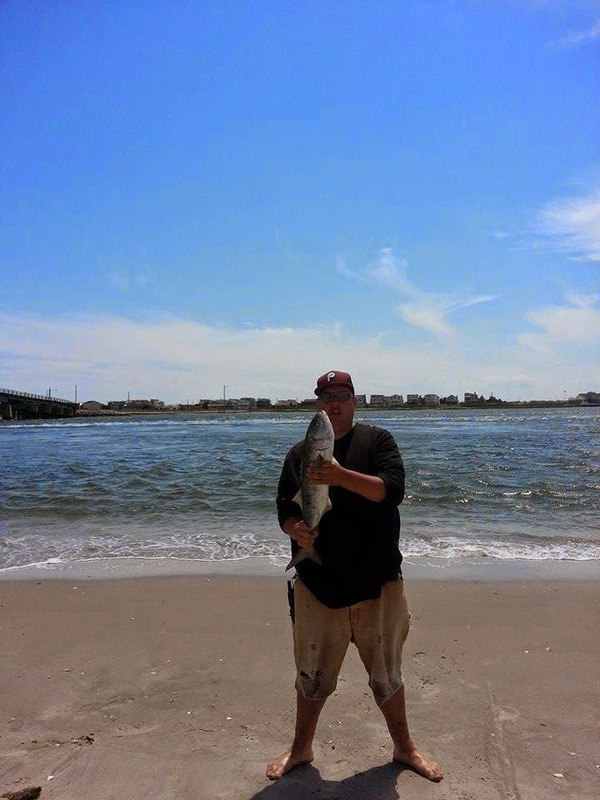 There have been stripers, drum and blues in the surf all weekend but this is the biggest I have seen. 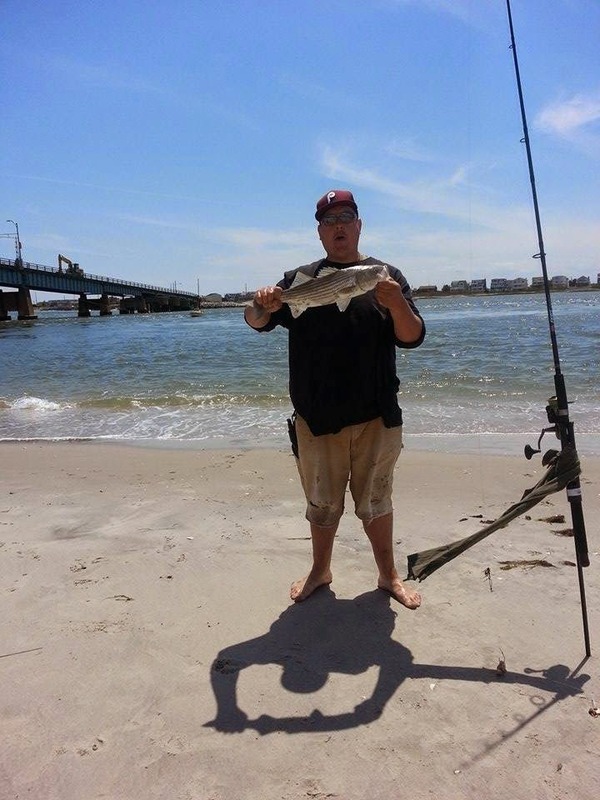 Ted fished this morning and all I can say is the bite is ON he had his limit of Drum to 18 pounds and some very nice stripers. 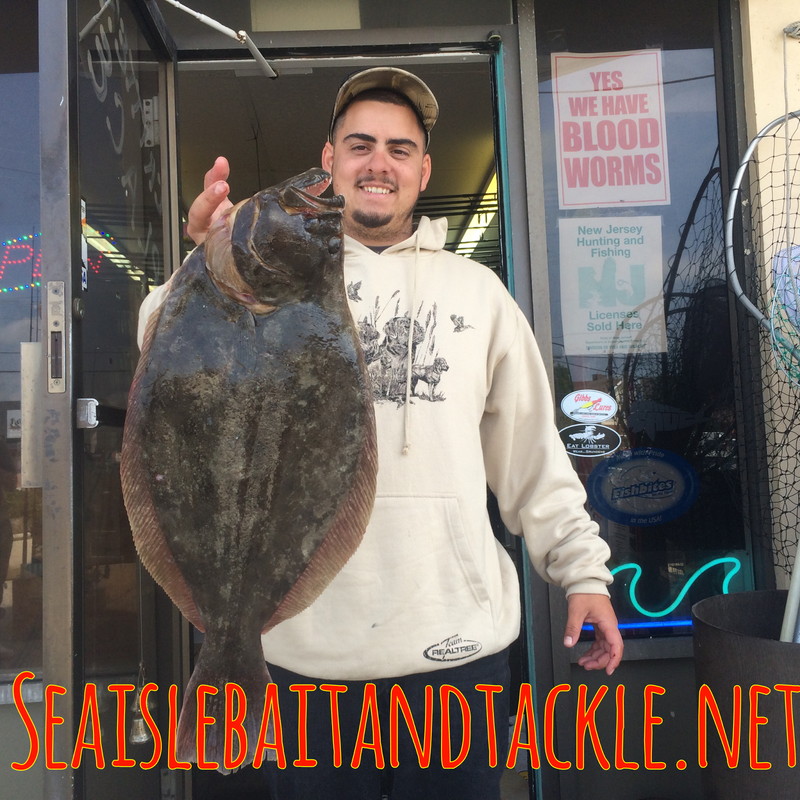 Got a bunch of clams coming in for the weekend along will all the flounder bait. 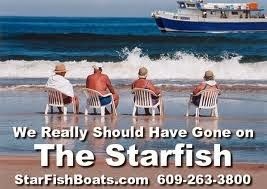 The weather is looking good.